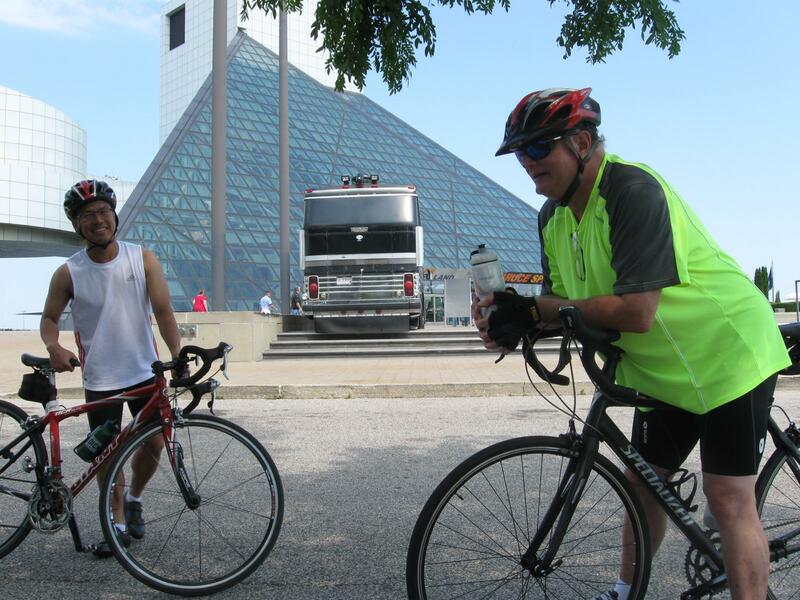 The Bike MS Pedal to the point is a bicycle ride to Sandusky, Ohio and back to raise funds for the National Multiple Sclerosis Society. 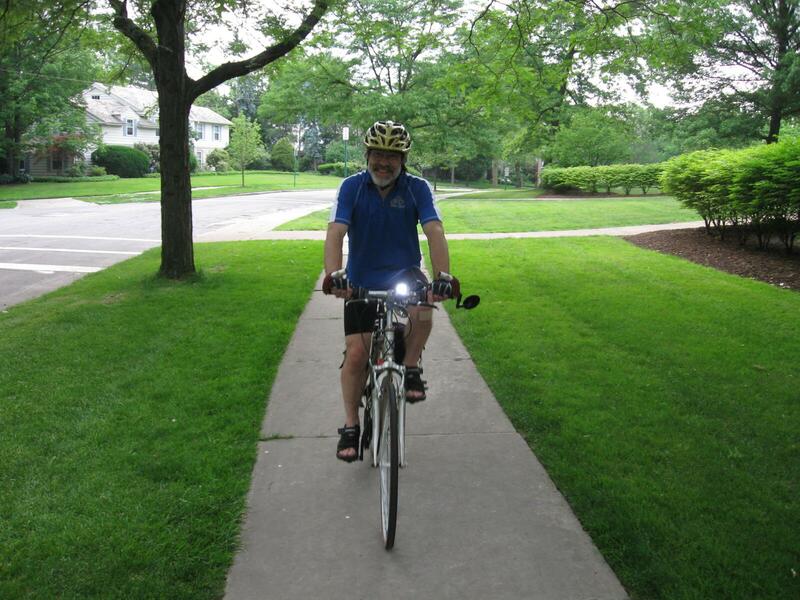 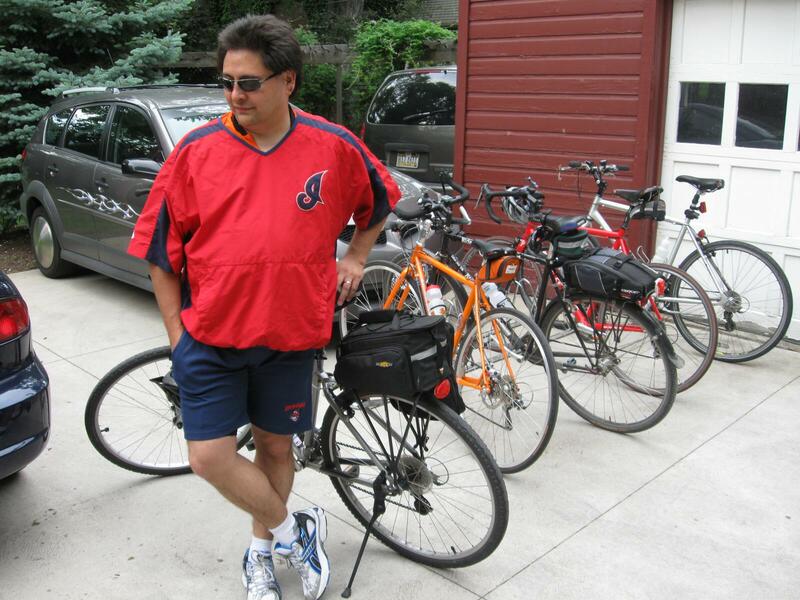 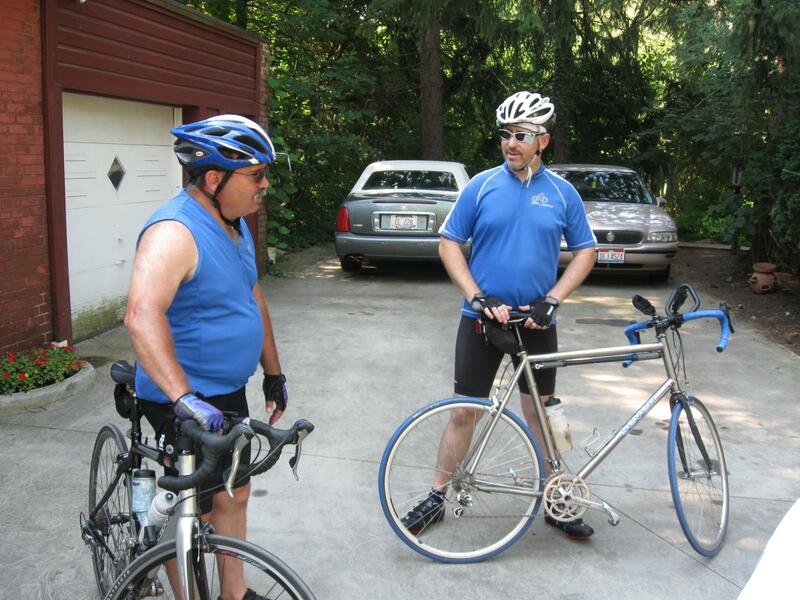 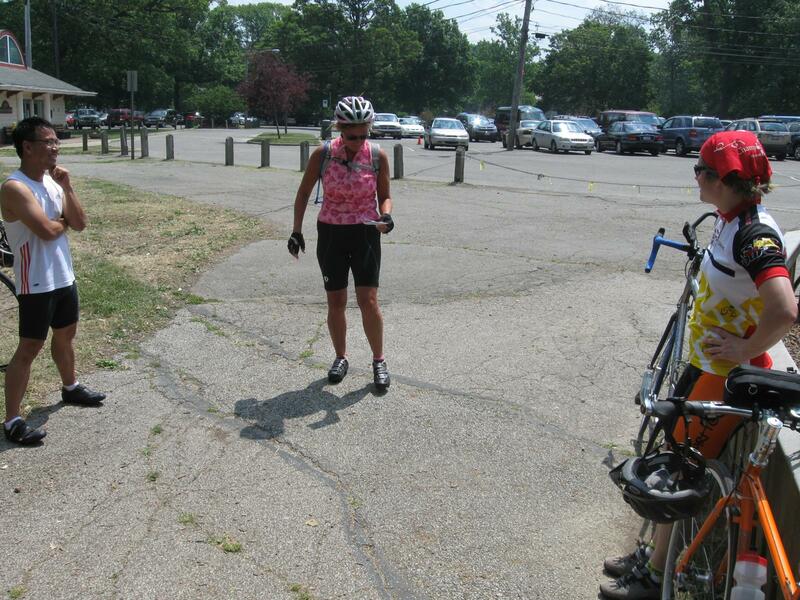 Here are a few shots I took before the start of the 2010 ride on August 14 in Middleburg Heights. 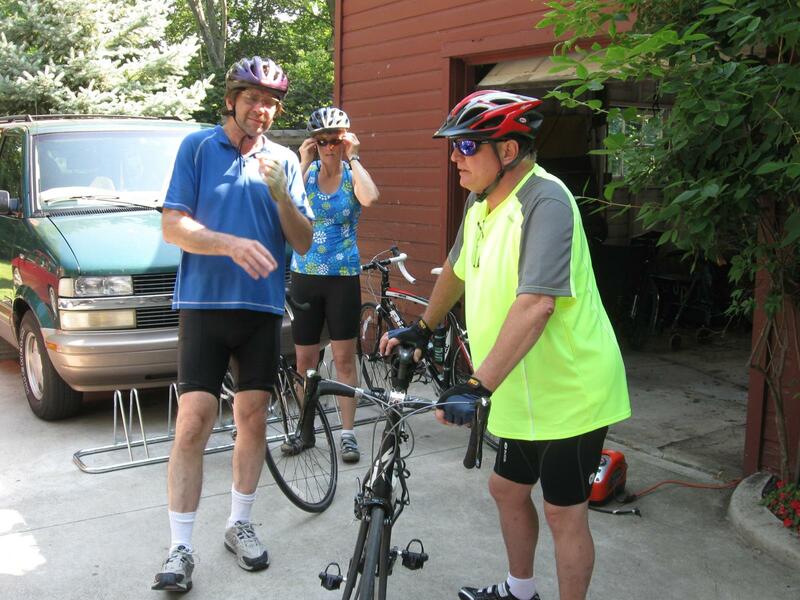 The team that I belong to for the Bike MS Pedal to the Point ride, Patti’s Paladins, occasionally gets together for training rides. 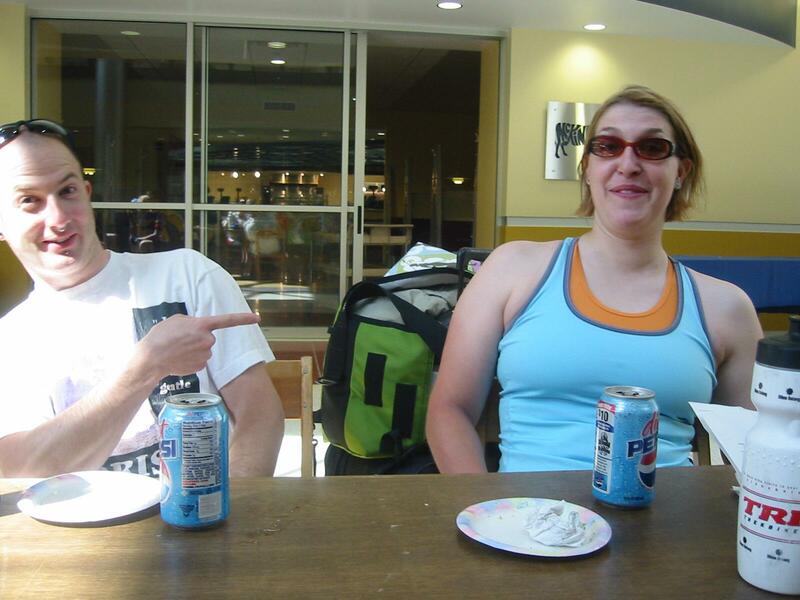 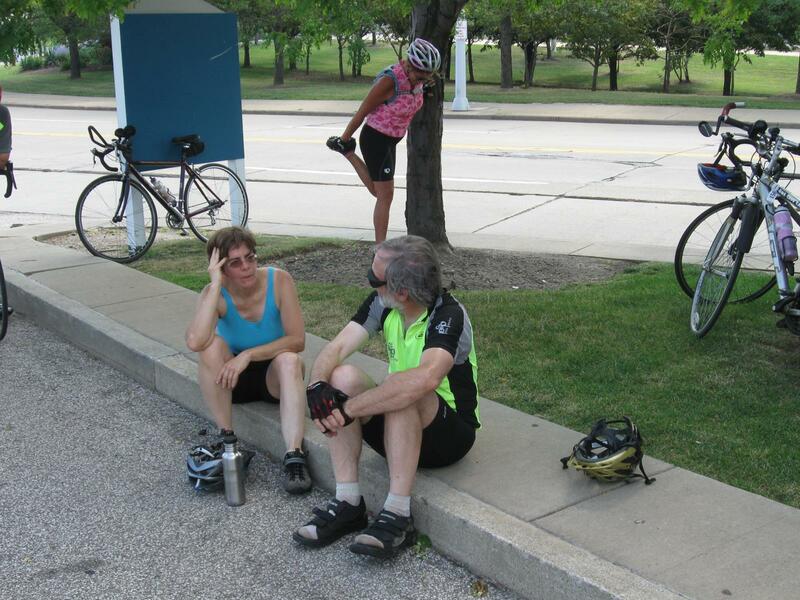 On this Independence Day, we gathered for breakfast, before heading out on the ride from Cleveland Heights, through downtown Cleveland, continuing west into Lakewood, then back to Cleveland Heights. 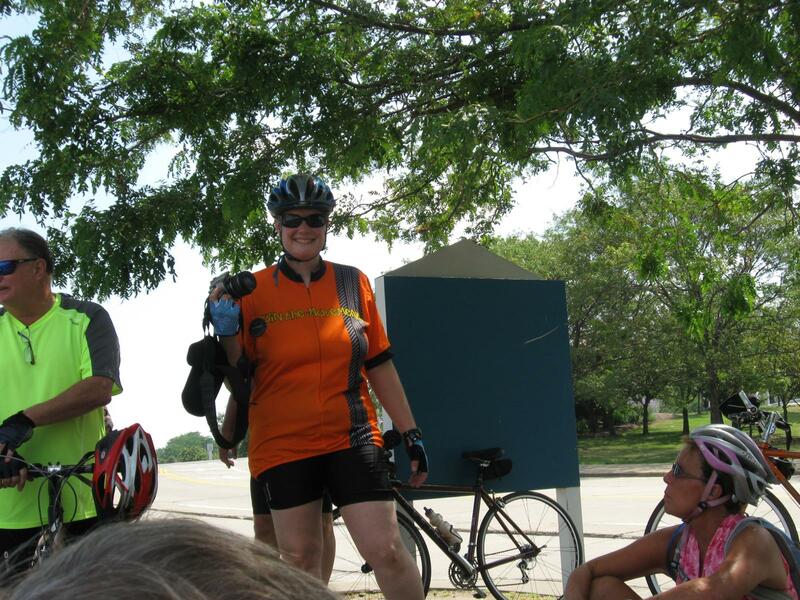 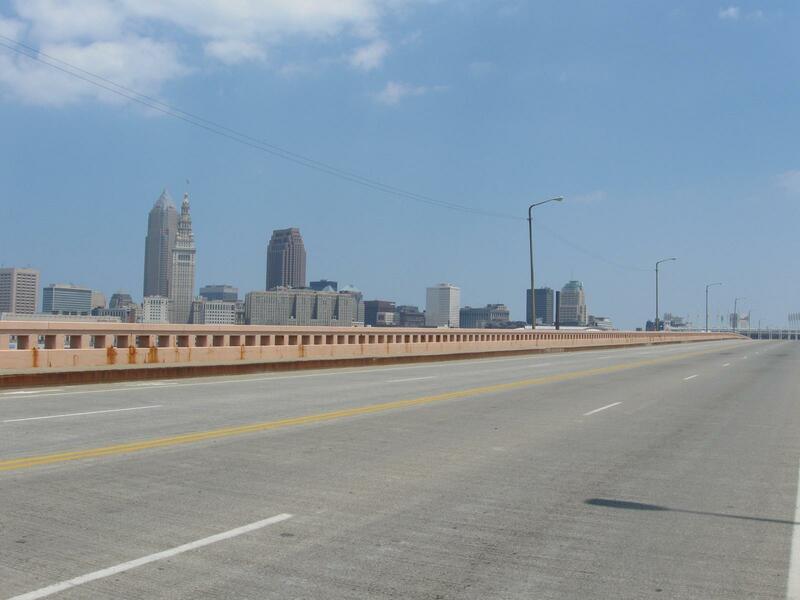 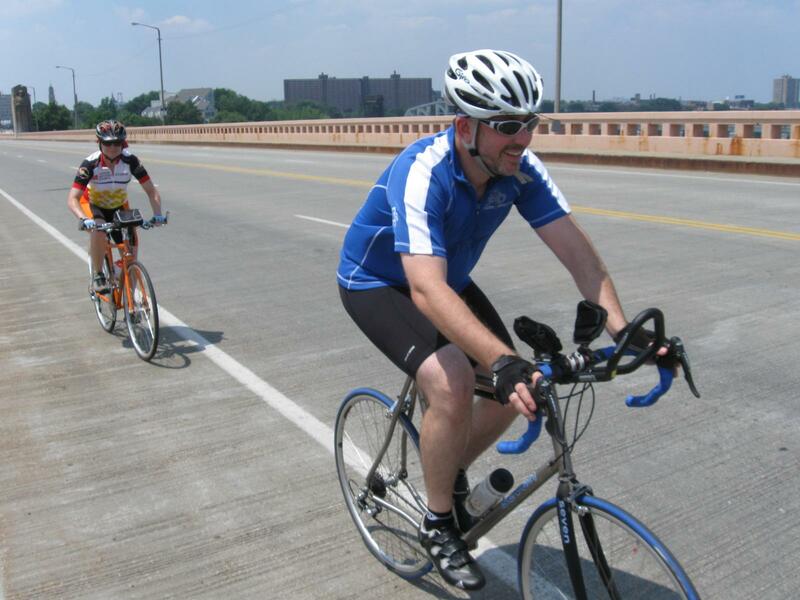 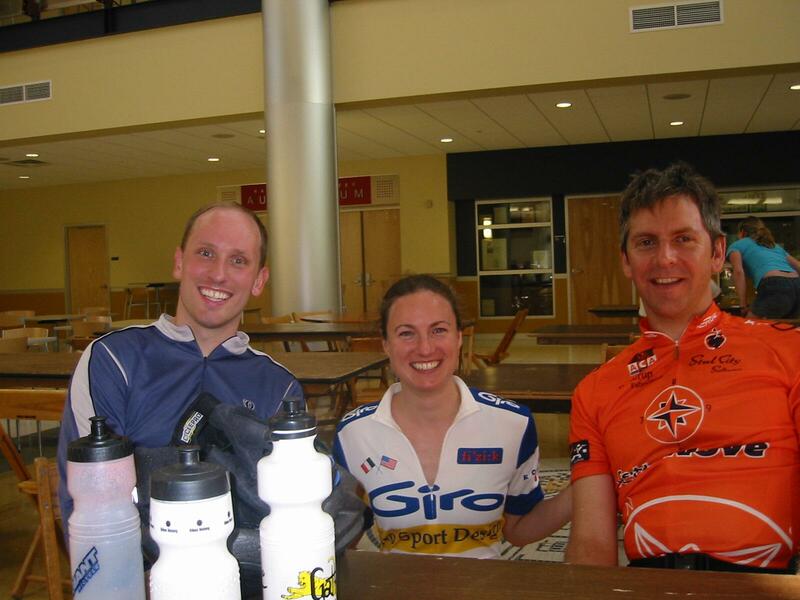 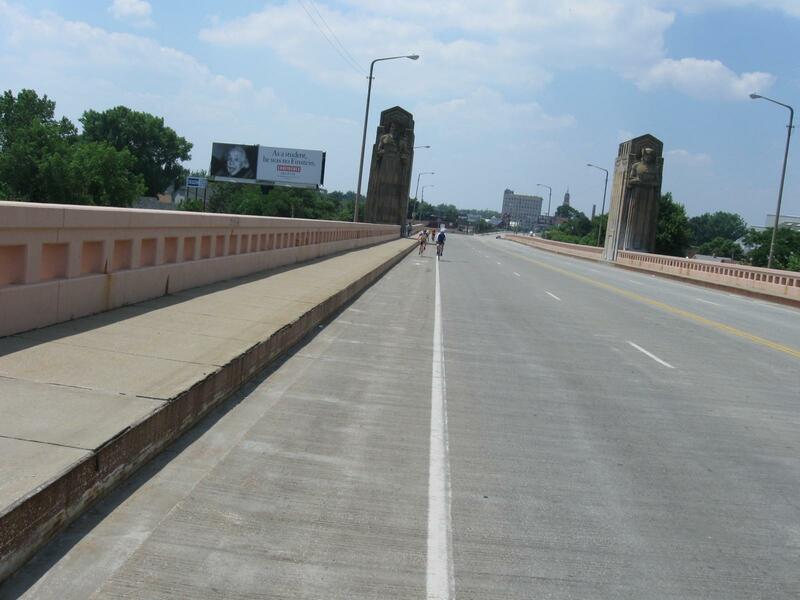 I rode the century route on day one of the Bike MS Pedal to the Point, from Middleburg Heights to Sandusky, Ohio. 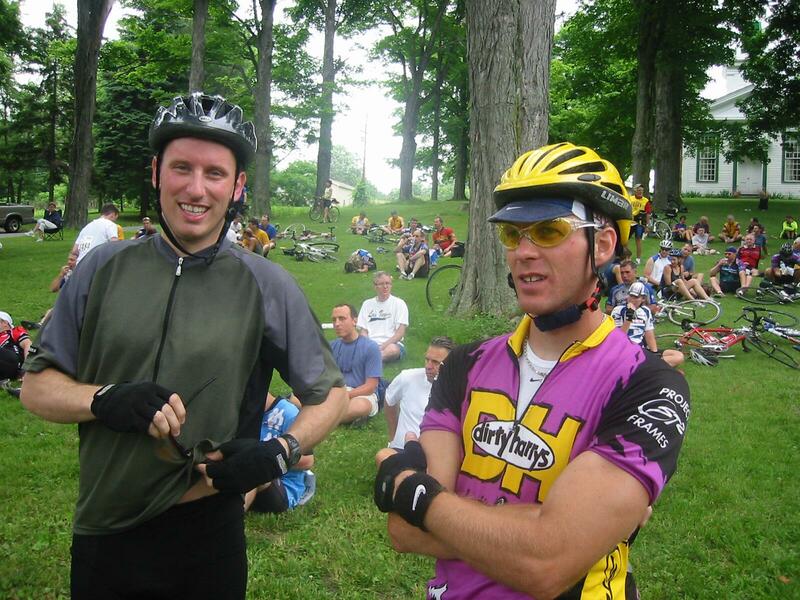 I put together this video to commemorate the event; enjoy! 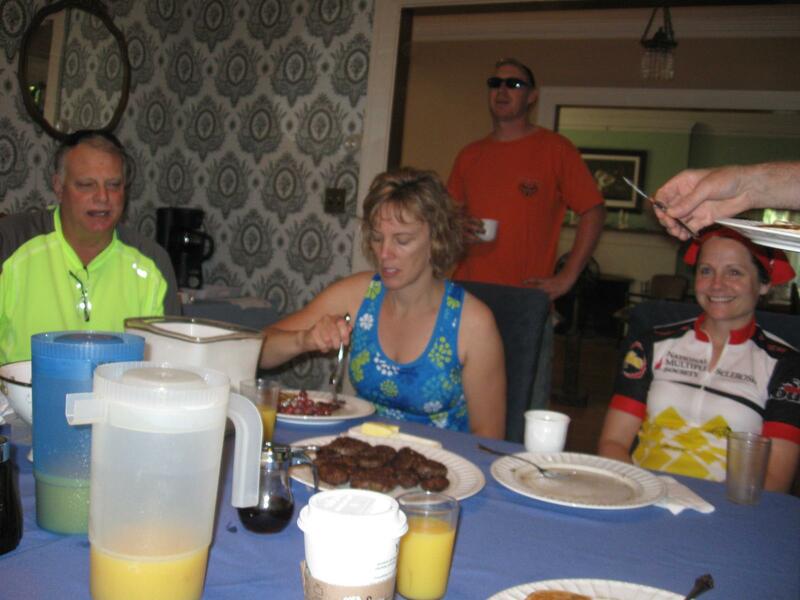 My BikeMS Pedal to the Point team, Patti’s Paladins, has get-togethers for training rides throughout the season, which often involve either breakfast before the ride, or cocktails afterward. 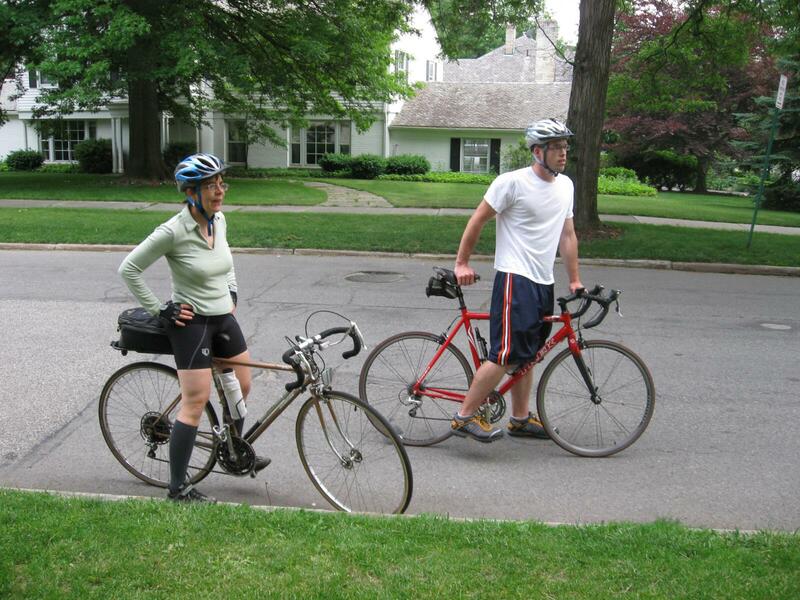 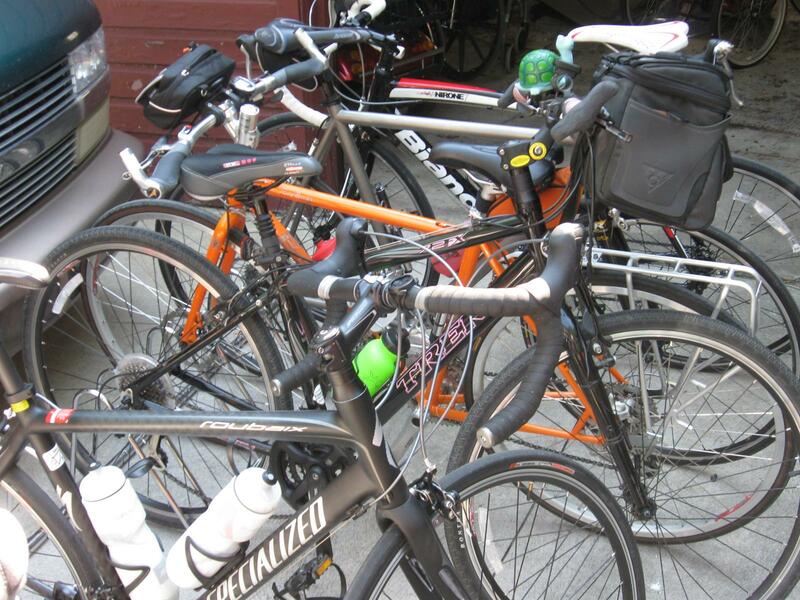 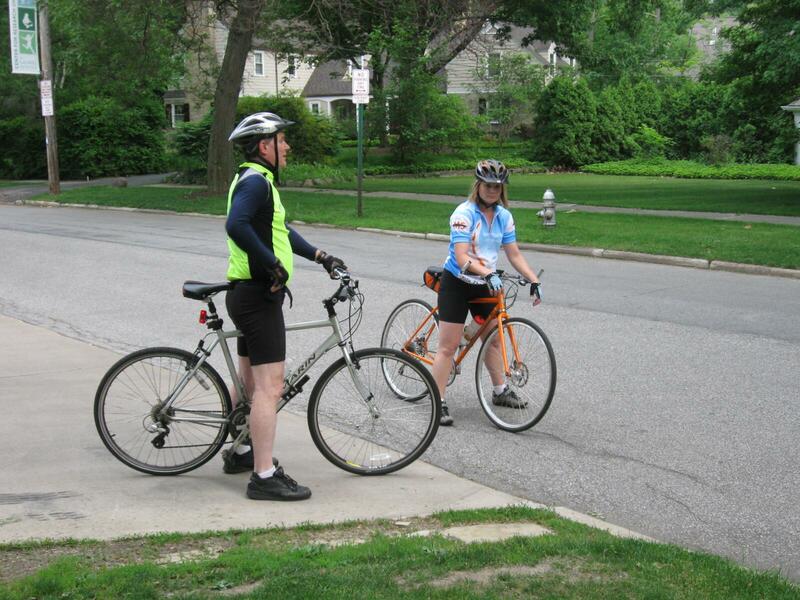 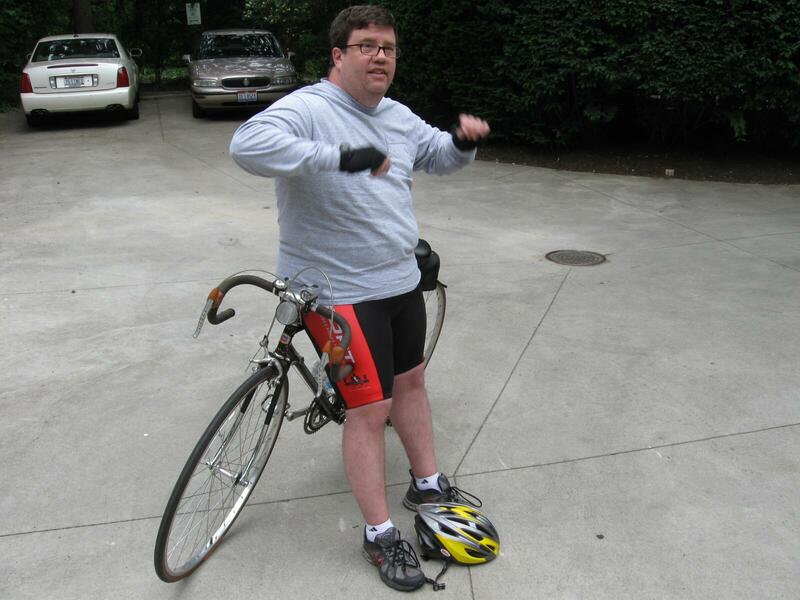 This cocktail ride was a short jaunt through the Cleveland Heights and Shaker Heights area. 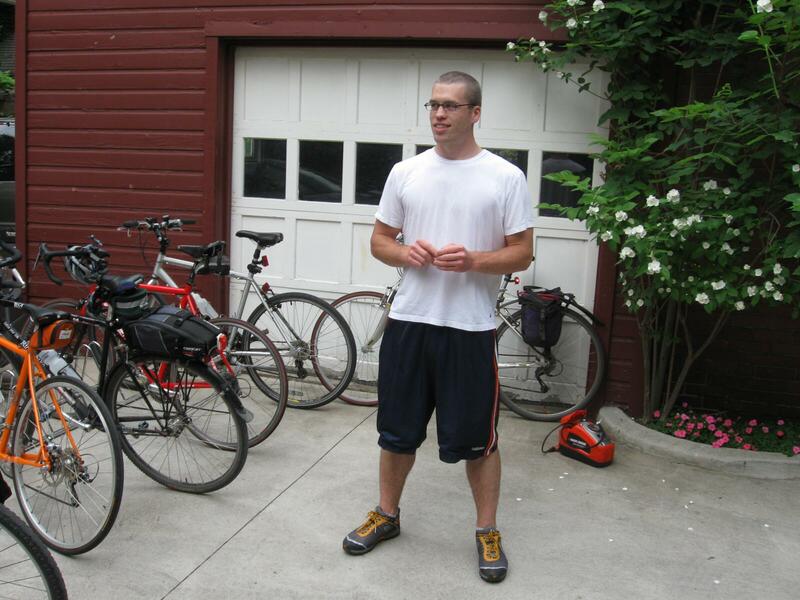 I was a show-off and rode my beater singlespeed. 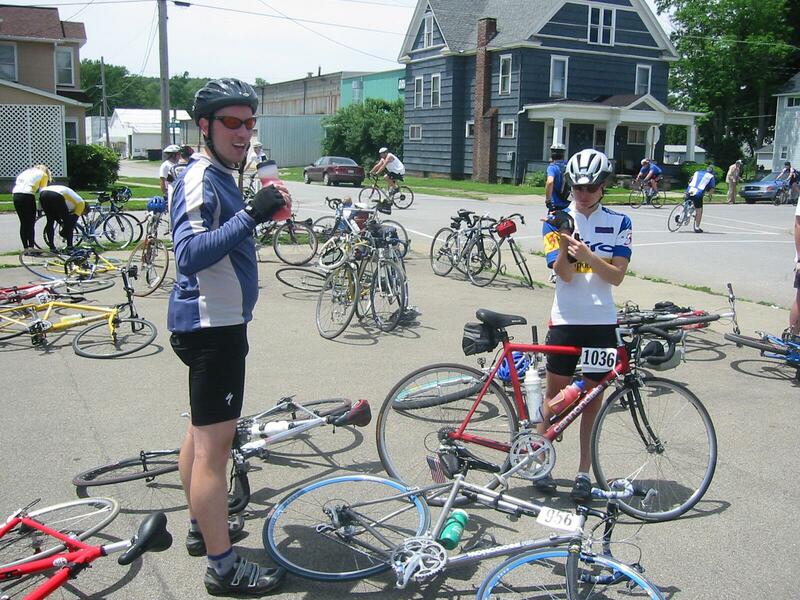 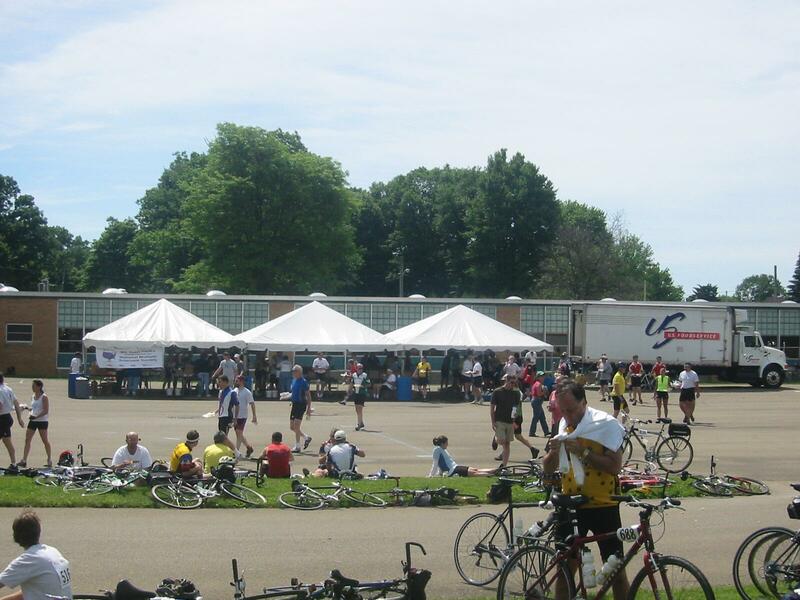 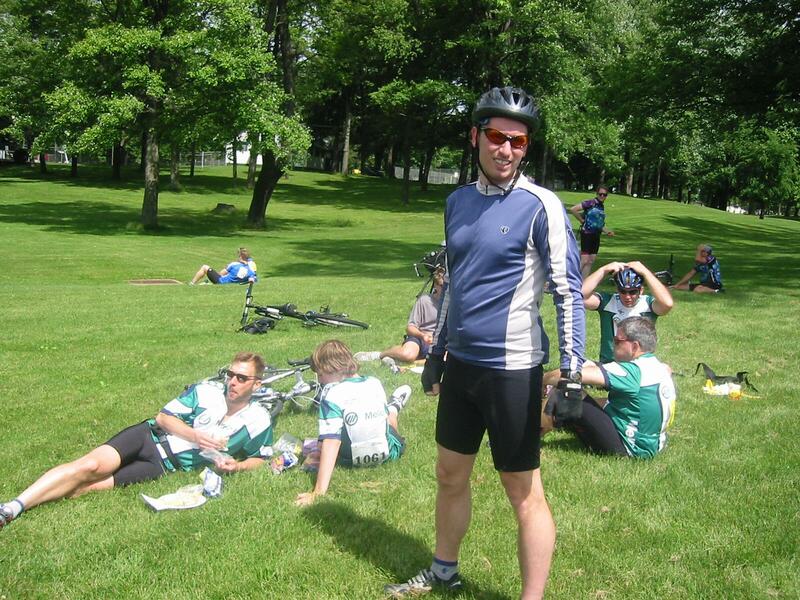 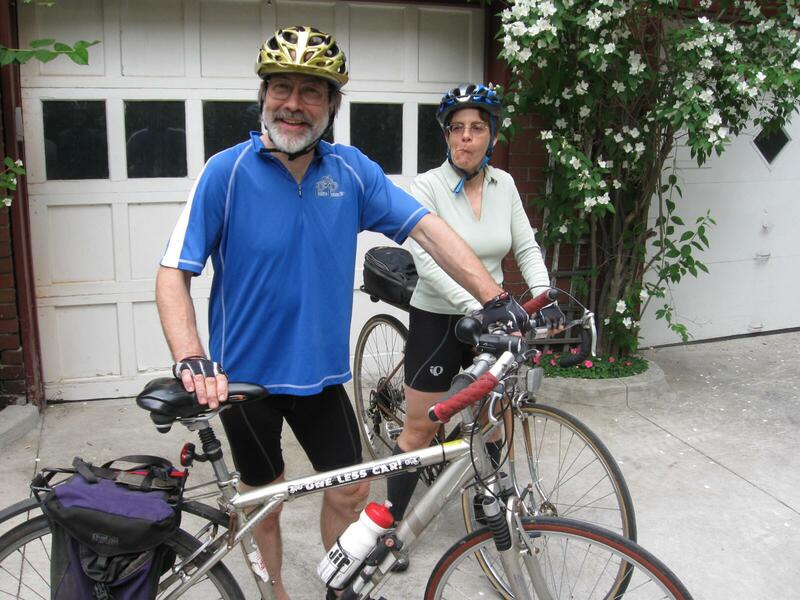 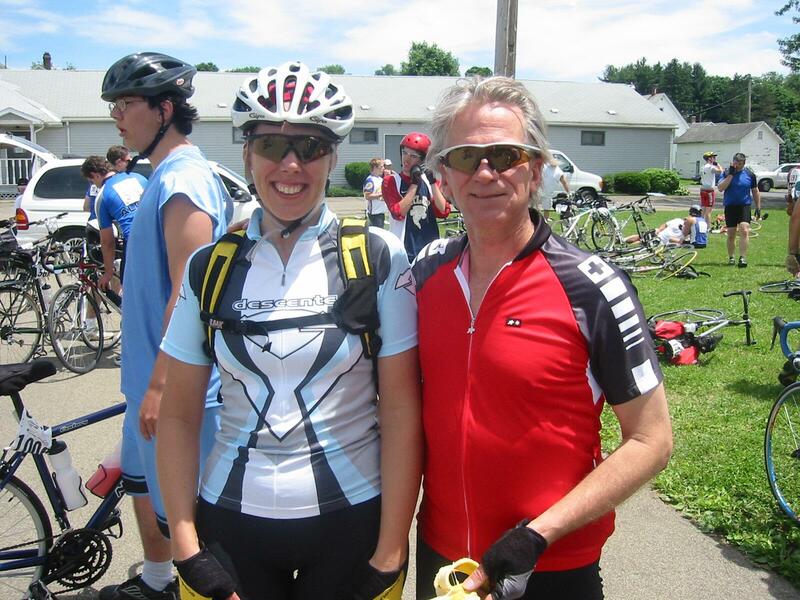 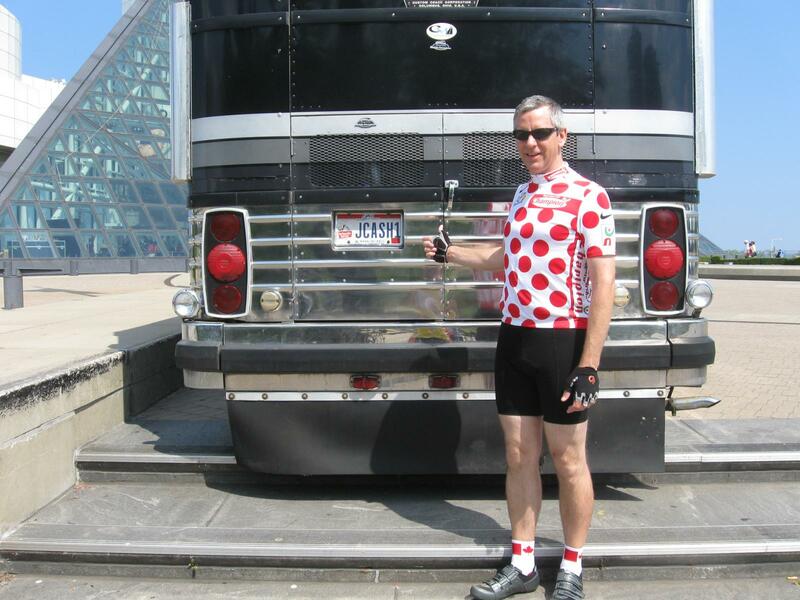 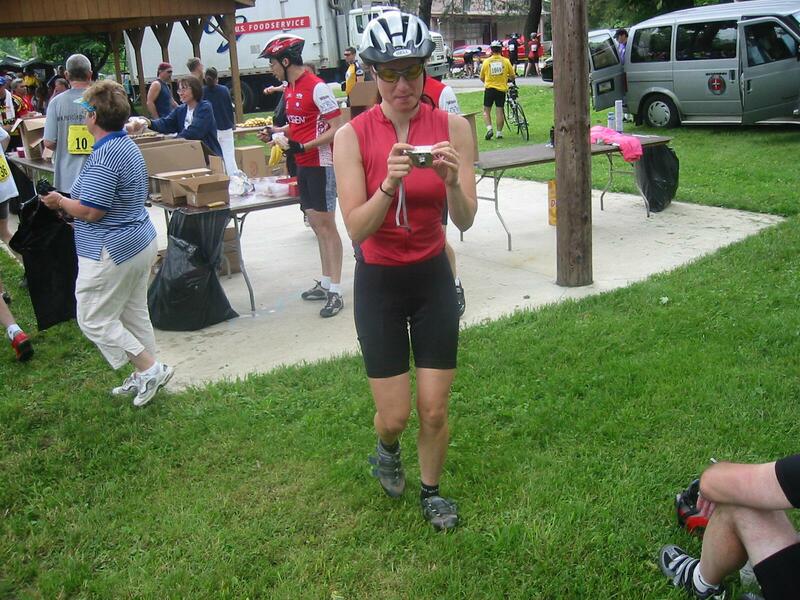 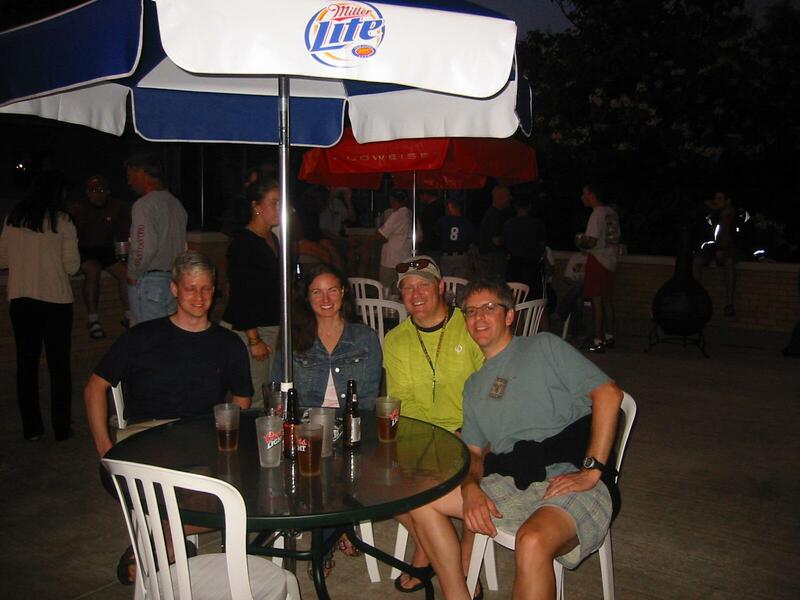 The MS 150 Escape to the Lake is a two-day, 150-mile bicycle tour from Cranberry Township, PA (just north of Pittsburgh) to Conneaut, OH. 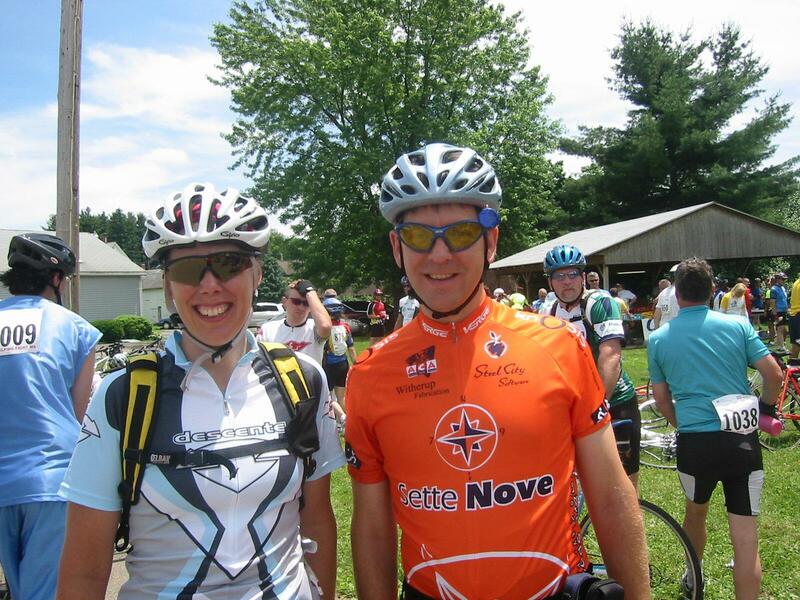 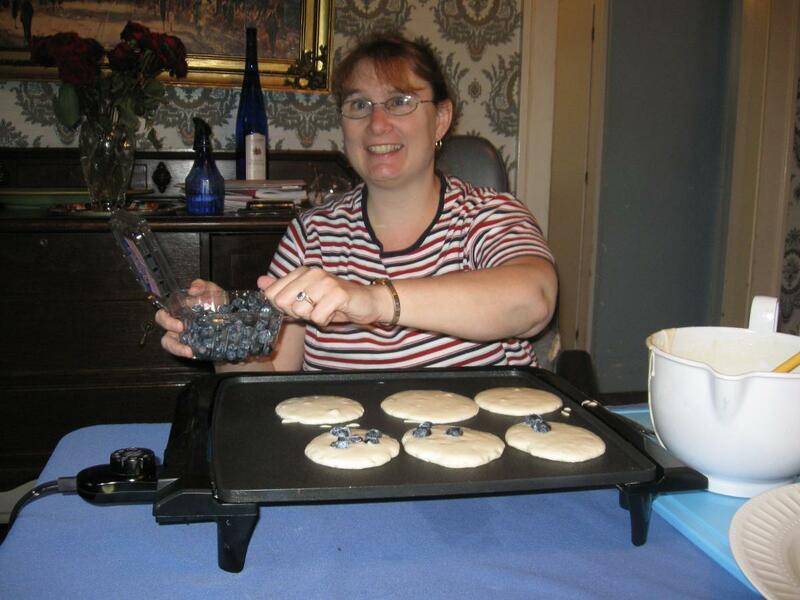 Proceeds from this annual event benefit the National Multiple Sclerosis Society. 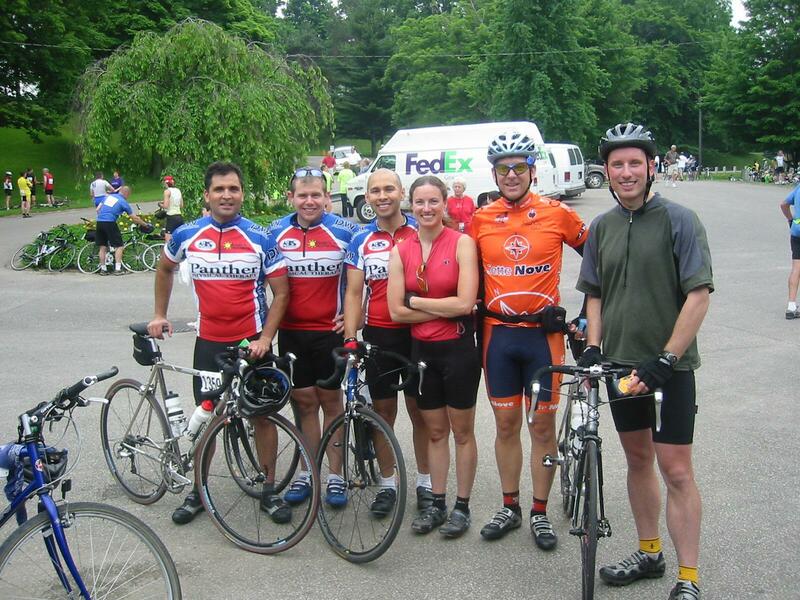 The tour of 2004 was held on June 12-13.